Place the daikon in a 1 quart glass jar. Add the sauerkraut and sauerkraut juice, packing it down firmly with your fingers or a spoon. Cover the top of the jar with a piece of cheesecloth and secure with a string or rubber band. Set on the counter overnight. Remove the cloth and place the cap on the jar. Refrigerate until ready to eat. Pickles will last 5 to 7 days. These pickles are very mild tasting and do not require rinsing before eating. 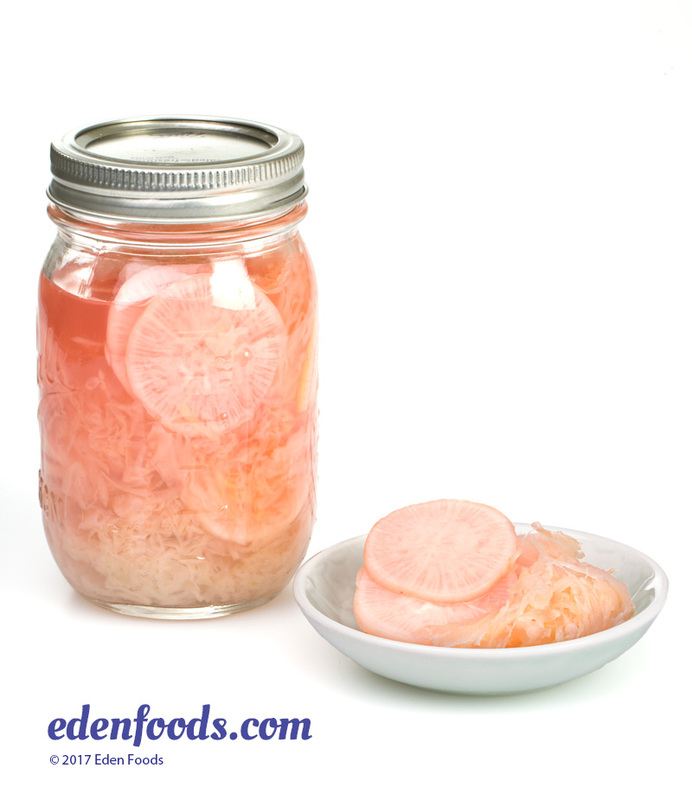 Thinly sliced carrots, rutabaga, turnip, onions, red or white radishes and kohlrabi may be substituted for daikon radish.